Home Guides Renewable Energy What Are Solar Panels Made Of? Though just about everyone has heard of solar panels by now, not everyone knows what these interesting pieces of technology are actually made of. Beyond a simple comprehension of what solar panels do, people are largely unaware of just how intricate they are and how advanced the technology behind them really is. Most individuals are fine with just knowing that the panels are made of a special material that’s able to absorb and use the power of the sun, even storing it for use during periods when the sun isn’t shining, such as cloudy days and, of course, at night. 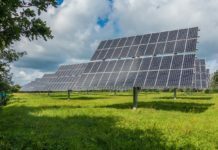 But if you really want to know more about solar panels and the materials that are used to construct them, read on to learn more. Solar panels are made from a combination of two elements: silicon and silver. Every solar panel is actually composed of many individual solar cells. The cells themselves are nothing more than pieces of silicon. Thankfully, silicon is highly abundant in the environment, so environmentalists can rest easy knowing that the Earth isn’t being depleted of this important element. Silicon in the solar cells is able to absorb the energy from the sun and actually convert that energy into electron energy. Once the electrons begin flowing between the layers of silicon, it’s up to the conductor within the solar panel to actually use the energy that’s been generated. Silver happens to be the element that’s most widely used in solar panels because almost all of the energy that’s generated from the solar rays which hit the cells can actually be used. This results in less waste in terms of heat and energy. 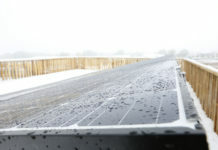 Facing these panels at the proper angle with the least amount of shade and the most amount of sun will guarantee that the most electricity possible is generated. Once they’re placed on a building, they’re usually installed facing southward, or with an automatic rotation system to follow the arc of the sun. The panels are also usually set up so that there’s an ample amount of space between the roof of the building and the panels themselves to prevent all of the heat that’s generated from becoming trapped and potentially hazardous. The more panels that are installed, the more electricity that is generated from them. While this very basic description of solar panels may make them seem like simple structures, they really are very complex. 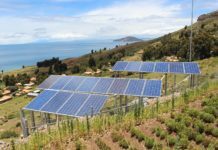 In fact, engineers and scientists have to work extremely hard at making sure that the right materials are used in the right concentrations to make the solar panels work as effectively as possible. This is why solar panels are so expensive (though the price is steadily dropping), as there has been a lot of research and hard work put into their design and manufacture. However, they’re more than worth it for the money you’ll save on your energy bill each month.